Ipswich Town got off to a flyer with a goal within 5 minutes but Rovers came back with two goals in nine, and a late Blues reply meant honours were shared in the end. 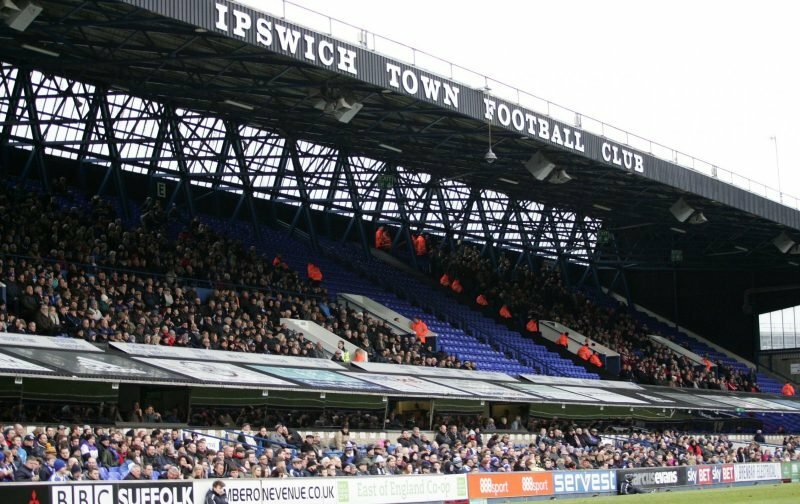 New boss Paul Hurst would have liked to start his Ipswich career with a home win at Portman Road but would have been relieved to have got something from a game the Tractor Boys looked destined to lose. The start from Town was impressive, as Freddie Sears cut in from the right and sent over a delicious cross that was met with the head of Gwion Edwards, who planted the ball beyond Spanish keeper David Raya, who could only watch as the ball nestled into the roof of the net. Town dominated the opening exchanges and prior to the Blackburn equalizer, there was only one team in it but goals change games and when Rovers got level their confidence rose discernibly. It was Danny Graham who poked home the equaliser after Ipswich had failed to clear a free-kick, which I felt was a dubious decision, to begin with. The goal, after 20 minutes, completely changed the complexion of the game and from that moment on the visitors looked like a different proposition and within nine minutes they were in front. Once again, the Town defence looked vulnerable, as Bradley Dack found the net from close range after an incisive pass from Derrick Williams left him with a simple tap-in. The tide had turned and Town were struggling for the first time in the match and seemed to lack that spark of inspiration up front, with Martyn Waghorn not included in the squad and Joe Garner not fit enough to be involved. Ellis Harrison was the central striker, after signing from Bristol Rovers for £750,000 but although he showed glimpses of what he can do, he seemed isolated, with only Gwion Edwards showing any serious attacking intent. In the second half, Blackburn seemed largely in control and the Tractor Boys were struggling to make anything happen in attack and the longer this game went on, the more one felt that Hurst would fall to his first Town defeat. It was, in the end, a shrewd substitution that got the Blues back into it, when on 90 minutes Tayo Edun received the ball from Edwards and attempted to cross into the danger zone but the ball evaded everyone and nestled in the corner of the net to the delight of the home fans! I think, as Paul Hurst alluded to afterwards, a draw was indeed a fair result because no one deserved to lose this match and former Town favourite Tony Mowbray said afterwards that he believes Town are in ‘good hands’ and that he was especially impressed with Gwion Edwards and Ellis Harrison and is of the view that the players Hurst is looking for in the transfer market, are the right fit for Ipswich Town football club. Let us hope he is right. Ipswich Town: Bialkowski, Spence (Woolfenden 39), Donacien, Chambers (captain), Knudsen, Skuse, Chalobah, Downes ( TayoEdun 60), Sears ( Ben Morris 79), Edwards, Harrison. Unused substitutes: Gerken, Roberts, Dozzell, Kenlock. Blackburn Rovers: Raya, Nyambe, Leniman, Mulgrew (captain), Williams, Smallwood, Evans, Dack (Conway 84), Samuel (Palmer 62), Bennett, Graham (Nuttall 68). Unused Substitutes: Leutwiler, Rothwell, Bell, Travis.